Mr. Sialim’s face looks radiant when he welcome us to his home in Keputran Village of RT005 RW003 Sukoharjo, Pringsewu, Lampung. Even though he has just returned from his fields, Mr. Sialim showed his hospitality and led us into his residence. He did not even mind when we asked his wife, Mrs. Martini, who was at Al-Qur’an studies in the community mosque, to come home for a while and talk to us. When Mrs. Martini arrived, her friendliness also was apparent as we started to chat. 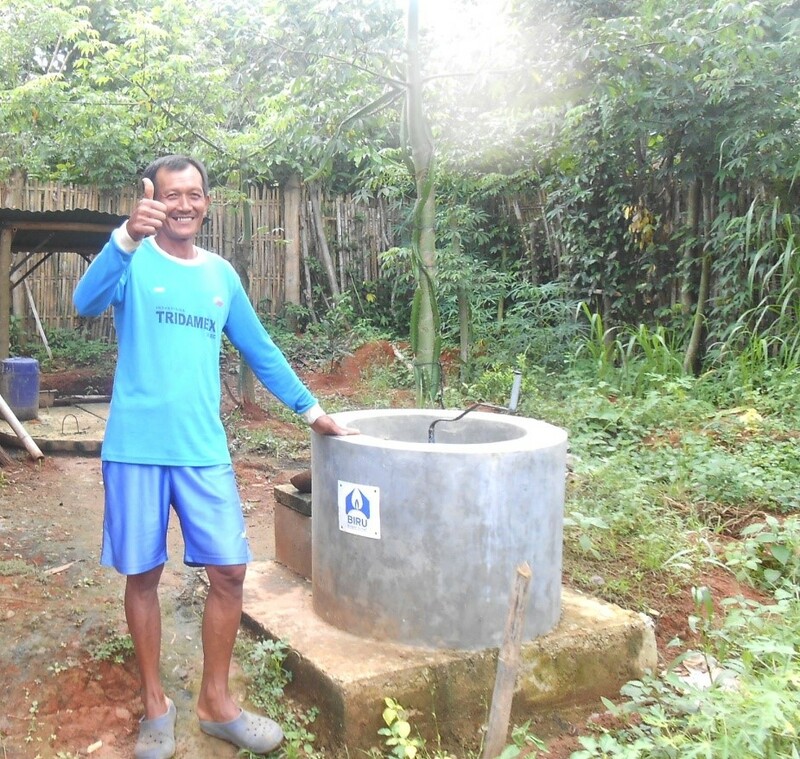 One reason why Mr Sialim is so happy is that he now owns a 2m3 capacity biogas reactor that has helped the Sialim family to reduce their household expenses, as they no longer need to pay for the LPG that used to cost them approximately Rp 40,000 per month. Before installing the biogas reactor, they regularly used up to three 3kg tanks of LPG every month. Each tank costs Rp 20,000. 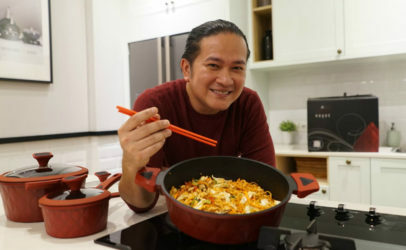 However, now that they have switched to biogas, they only purchase a single 3kg tank of LPG as a spare for the two-burner stove they have always owned. It means their routine expenditures for cooking fuel, which normally cost them Rp 60,000, have been reduced to Rp 20,000 per month. When the biogas reactor is full, the family can use it for up to 2.5 hours of cooking on a daily basis. Every day, Mr. Sialim only has to process 20 kg – or two small containers of manure – through the reactor to meet the family’s daily biogas needs. He is also experimenting with overripe papayas, which he mixes with the manure before putting them in the reactor to reduce the amount of manure he needs to use. As the reactor is only two months old, Mr. Sialim has not yet enjoyed the maximum benefit of using the bio-slurry it also produces. 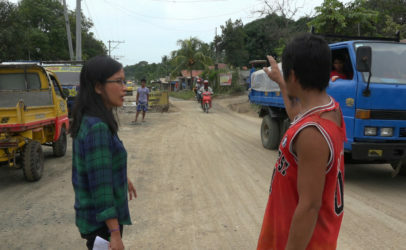 He says he can only spray the liquid bio-slurry on a maximum of 1,000 stems of papaya, whereas it takes fifteen 35-liter jerry cans of liquid bio slurry to spray his entire papaya crop. But his success in using the bio-slurry can already be seen in the taste of his fruit – all sweeter after being treated with bio-slurry. Mr. Sialim has just started using bio-slurry as a fertiliser so he expects to learn more from the Rumah Energi team about the correct amounts of bio-slurry needed for different purposes.